I found this little gem of a photo series on my weekly fish through the LIFE archives, accompanied by just a few clues to the full story behind it. 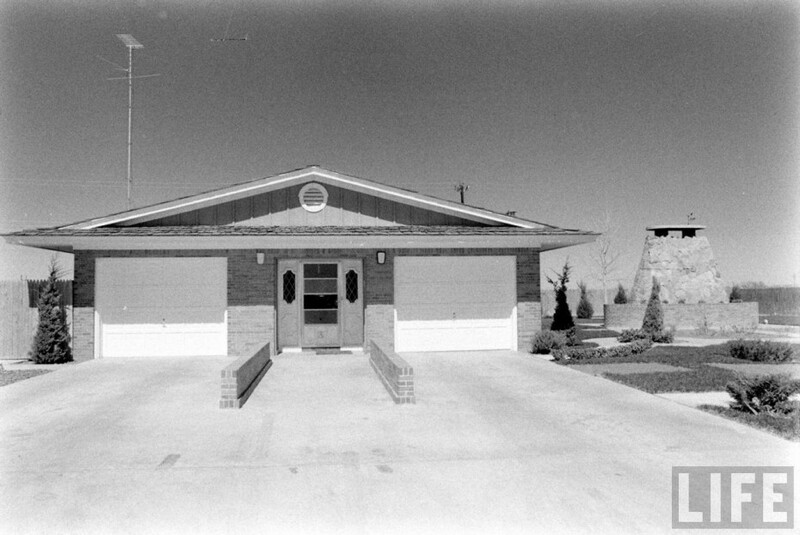 Filed under “Underground House in Denver, photographed in 1964 by Robert W Kelley”, I did a quick Google search of underground homes built or exhibited in 1964. The most relevant result I found was the Wikipedia page of an American businessman and philanthropist called Girard B. Henderson, who pioneered underground living and sponsored the Underground Home exhibit at the New York World’s Fair in 1964. But he also built homes in Colorado and Las Vegas, the latter of which you might remember we visited when it re-surfaced on the real estate market in 2013 for $1.7 million. As someone who has trouble getting her eye makeup on straight, I am in awe of the level of detail in these miniature sculptures by Matthew Simmonds. Huge sea monster tentacles protrude from the roof and windows of a warehouse at the former Philadelphia Navy Yard. The installation was perpetrated by UK artists Filthy Luker and Pedro Estrellas. They call it, Sea Monsters HERE. I think it is in a rather fitting location. “Raymond Isidore didn’t plan on becoming an artist—let alone a sculptor who would go on to cover nearly every surface of his small home with glittering mosaics. But after a fateful stroll in 1938, when a shiny piece of broken crockery caught his eye, Isidore devoted the majority of the remainder of his life on the outskirts of Chartres, France, to the creation of one of the world’s most unique homes—an ecstatic expression of the untrained artist’s bursting imagination. Read the full article by Alexxa Gotthardt here on artsy. See more unusual housing here. What (wat) is pretty cool? The Samphran district of Thailand holds one of the most unusual Buddhist temples found in the country. The bright pink temple, called Wat Samphran, stands 17-stories high and is wrapped in a scaly green dragon. More here from Colossal.